Stephanie Larsen is Executive Director of Encircle, an LGBTQ youth resource center. 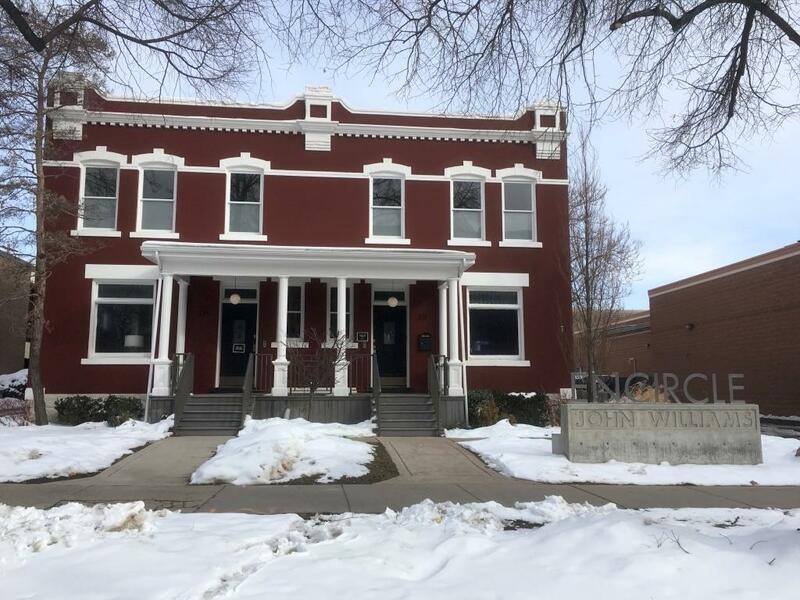 The new center is named after Salt Lake City restaurateur and renovationist John Williams, who founded the Downtown Alliance and came out as gay 50 years ago. KUER’s Daysha Eaton spoke with Encircle Executive Director Stephanie Larson about the new location. Daysha Eaton: Why did you start Encircle? Stephanie Larsen: John Williams was my husband's uncle. He was the man who created the Gastronomy Restaurant Group and he was the first renovationist in downtown Salt Lake. He started the Downtown Alliance and he did this all as a gay man who came out 50 years ago in Salt Lake. So originally, I had asked John if he would help me start something in Provo because as I was learning about the suicide rates in the gay community it felt like we were going backwards rather than forward. John was a huge success in Salt Lake community. Yet, kids in my community today are taking their lives because they feel like they're not worth living. DE: Encircle is a resource center for families. What happens here? SL: Well, first of all youth just come and drop in. They do their homework, they paint art, they play the piano. And then we have programs every day that are anything from art classes to music classes to writing classes. We also have what we call friendship circles. It's basically a support group where the youth sit down for an hour and a half and they have a facilitator, talk about what they're experiencing and they really help each other get through what they're experiencing. And then we also offer therapy. DE: What does your therapy look like? SL: Our therapy is about good mental health. We want individuals to learn to love themselves and to figure out for themselves what a good life looks like and what will make them happy and whole and to help the parents understand that and help the parents support them. DE: It sounds kind of like an afterschool program — granted, a really nice one — that you might find in a lot of communities. But why is it important to have a special place like this? SL: I think often youth in our community don't feel at home at school even in their own homes or in their neighborhoods. Sometimes they don't feel at home at church. And so, this was a safe space where they can work through their feelings and get help from people who have more experience. For me now, it's not about suicide prevention as much as it is about helping the LGBTQ youth realize they are wonderful and amazing and they're important to our communities. The new Salt Lake City location for Encircle is downtown at 331 S. 600 E.
DE: What percentage of your clients are LDS? SL: At least 80 percent of the kids who come to Encircle are LDS. And, once you realize you're gay or lesbian or bisexual or transgender you don't lose your testimony of your gospel. All of a sudden, your god doesn't become untrue. And so these kids end up in a really hard place trying to figure out ‘how do I navigate my family, my religion and my sexuality? DE: And what do you think is the biggest misconception about LGBTQ youth and their families out there? SL: Well, with Encircle we are trying to educate with science and studies that have been done that help people understand ‘where do we get our sexuality from or our gender identity. and can it be changed?’ No, it cannot be changed. Parents often see this as a choice. It's not a choice. I like to believe that that God created these special people this way. And it's just fine and wonderful. DE: And what are your long-term goals for Encircle in Utah, and maybe beyond? SL: Our nearest goal is to open up the house that we have in St. George. We also hope that very soon we'll be open outside of Utah. This isn't a Mormon problem. It's something that many, many, conservative communities struggle with. We believe that better conversations at Encircle lead to better conversations in the homes and communities. I think once you understand someone and you've heard their story it really changes the way you feel.